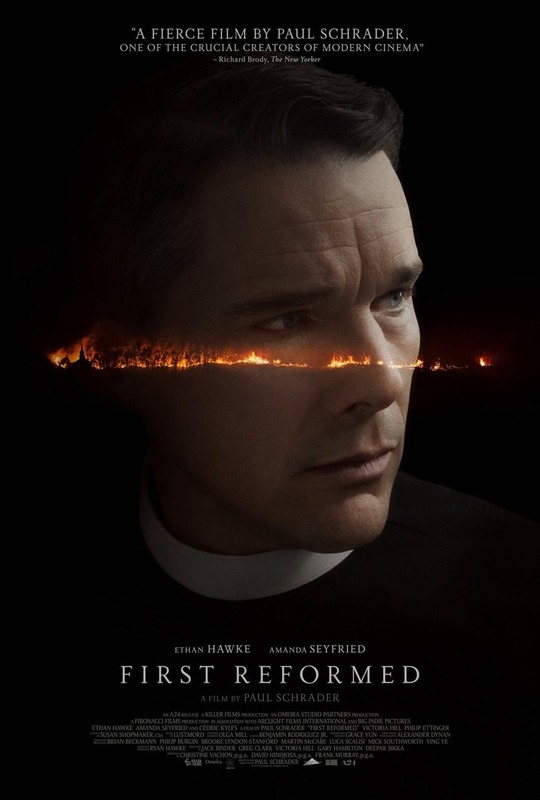 First Reformed DVD and Blu-ray release date was set for August 21, 2018 and available on Digital HD from Amazon Video and iTunes on July 31, 2018. Drama hits a small town's church when two deaths occur. Toller, who used to be a military chaplain, struggles in the aftermath of his son's passing. His grief is further compounded by the fact hat he'd encouraged his son to enlist in the first place. Meanwhile, Mary is a member of his congregation whose husband recently committed suicide. She turns to Toller for support, which inadvertently adds to his crisis of faith.